Periodontal Disease can be considered any condition affecting the tissues that support and surround the teeth: gums, periodontal ligament and bone. The principal cause is dental plaque, that is a combination of over 600 different species bacteria and their products. The Rationale for Periodontal Treatment is based upon the Reduction of the overall volume of bacterial plaque in the mouth of a susceptible individual. Some Periodontal infrabony defects can be treated by regenerating bone and periodontal ligament with some special techniques and biomaterials, as xenografts and amelogenins. 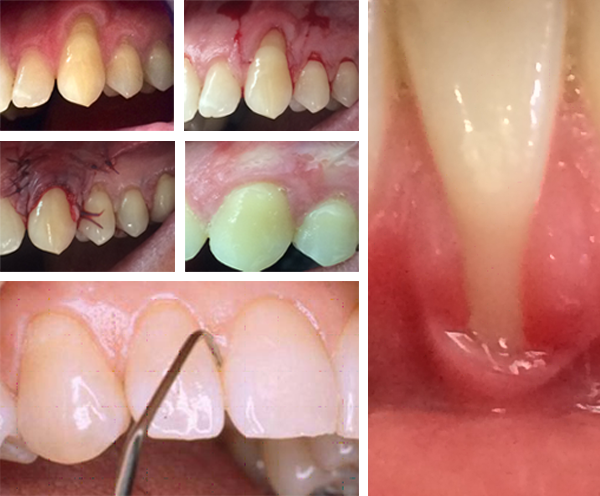 Even Gum Recessions can be corrected by rebuilding the lost tissues with gum grafts and/or sliding the tissues to cover the unaesthetic smile appearance.